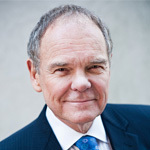 By Don Tapscott, innovative thinker, writer, lecturer, CEO at The Tapscott Group1. Let me tell you the story of Rob McEwen. He’s my neighbor. He moved across the street from us, and he held a cocktail party to meet the neighbors, and he says, “You’re Don Tapscott. I’ve read some of your books.” I said, “Great. What do you do?” And he says, “Well, I used to be a banker and now I’m a gold miner.” And he tells me this amazing story. He takes over this gold mine, and his geologists can’t tell him where the gold is. He gives them more money for geological data, they come back, they can’t tell him where to go into production. After a few years, he’s so frustrated he’s ready to give up, but he has an epiphany one day. He wonders, “If my geologists don’t know where the gold is, maybe somebody else does.” So he does a “radical” thing. He takes his geological data, he publishes it and he holds a contest on the Internet called the Goldcorp Challenge. It’s basically half a million dollars in prize money for anybody who can tell me, does Rob have any gold? And if so, where is it? He gets submissions from all around the world. They use techniques that he’s never heard of, and for his half a million dollars in prize money, Rob McEwen finds 3.4 billion dollars worth of gold. The market value of his company goes from 90 million to 10 billion dollars, and I can tell you, because he’s my neighbor, he’s a happy camper. Conventional wisdom says talent is inside, right? Your most precious asset goes out the elevator every night. He viewed talent differently. He wondered, who are their peers? He should have fired his geology department, but he didn’t. You know, some of the best submissions didn’t come from geologists. They came from computer scientists, engineers. The winner was a computer graphics company that built a 3D model of the mine where you can helicopter underground and see where the gold is. He helped us understand that social media’s becoming social production. It’s not about hooking up online. This is a new means of production in the making. And this open market that he created, an agora, for uniquely qualified minds, was part of a change, a profound change in the deep structure and architecture of our organizations, and how we sort of orchestrate capability to innovate, to create goods and services, to engage with the rest of the world and, in terms of government, how we create public value. The internet — this big global computer — is allowing us to collaborate in new ways, even on an astronomical basis. 1. This post has been excerpted from Don Tapscott’s TED conference “Four principles for the open world” filmed in June 2012 at TED Global 2012 in Edinburgh (UK), and published with his permission.